Our candles are made with 100% soy wax and the premium essentail oils. 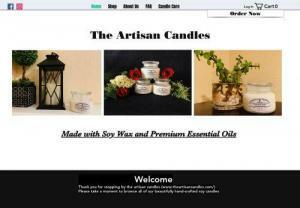 At theartisancandles our candles are hand poured to provide the best quality. Each candle is inspected to make sure it comply to our high quality stardards. Theartisancandles is located in Concord California.